Professional smoker barbecue repair services - HIGHLY RATED! Our company does smoker barbecue repair, cleaning, and restoration. We have the best and most skilled technicians and can handle all the brands and models of barbecues. For example, our company specializes in brands such as Alfresco, Capital, DCS, Fire Magic, Kalamazoo, Lynx, TEC, Thermador, Twin Eagles, Viking, Weber, and Wolf. Give us a call, and we will be able to inspect your grill and give you an accurate estimate. Our skilled technician will order you genuine high-quality parts and will install them for you. We work fast and are very detail oriented. With us, you can be sure that your barbecue grill is in good hands. Customer satisfaction guaranteed! Our company has more than 30 years experience doing smoker barbecue repair. Our team is the best of the best. They are all factory trained and certified. They will know how to give your barbecue grill a second chance in life. Often older grills still have a lot of value in them. They can be easily cleaned up, refurbished and can serve yours for many years. But you need a top specialist to do this job right. We are such a specialists. We carry all the tools and equipment necessary for this kind of job. Our team is always up to date on the latest in barbecue grill technology. Besides great skills and experience, our team always values customer service. We are a local family owned company. Our staff is always respectful, punctual and ready to help. We will make your service appointment easy and convenient. Our company offers FREE service call with any repair as well as flexible scheduling. We will work around your schedule and can make appointments for weekends or afternoons. We also give you an accurate estimate. Our prices are always up front and very fair. With us, your smoker barbecue grill will perform and look as good as new. To get the best smoker barbecue repair service just call us at 469-440-2605. We will immediately schedule you a convenient appointment with one of our smoker barbecue repair specialists. This specialist will come to your house at the appointed time and examine your grill. Our technician will determine what the issues are and will discuss it with you. He will find the most financially viable solution for you. Usually, parts will need to be replaced. We can order those parts for you at discounted rates. You can be sure that those parts are of the top quality. After the parts are delivered, our technician will start working on your grill. He will clean it, repair it and replace the broken parts. Right installation is essential for such a delicate job. After the job is complete, our technician will make sure that your smoker grill is fully functional and safe to use. He will turn the grill over to you and give you some advice on how to maintain it best. We also offer annual maintenance services. Those services can save you time and money on barbecue cleaning and repair. In the end, you get a barbecue that looks and cooks like new! Why choose us to do smoker barbecue repair? 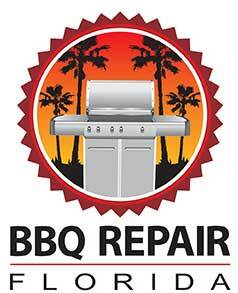 Our company has more than 30 years of experience doing smoker barbecue repair. We are factory trained and certified barbecue restoration and repair specialists. We will do a good job on your smoker barbecue grill because we have all the experience and knowledge necessary. When it comes to great service and reliable, we are simply number one. For smoker barbecue repair, please call us at 469-440-2605! Or fill out of short online form! We serve Boca Raton, Broward, Collier, Hendry, Martin, Miami-Dade, and Palm Beach County. Besides smoker barbecue repair we also do, gas barbecue repair, electric barbecue repair, portable barbecue repair, smoker barbecue repair, freestanding barbecue repair, built in barbecue repair for commercial and residential clients. We would love to help you with all of your barbecue related problems! Our company does smoker barbecue repair, cleaning, and restoration. We have the best and most skilled technicians and can handle all the brands and models of barbecues. For example, our company specializes in brands such as Alfresco, Capital, DCS, Fire Magic, Kalamazoo, Lynx, TEC, Thermador, Twin Eagles, Viking, Weber, and Wolf.